"It was when I stood before her, avoiding her eyes, that I took note of the surrounding objects in detail, and saw that her watch had stopped at twenty minutes to nine, and that a clock in the room had stopped at twenty minutes to nine. - DICKENS, Charles, Great Expectations. 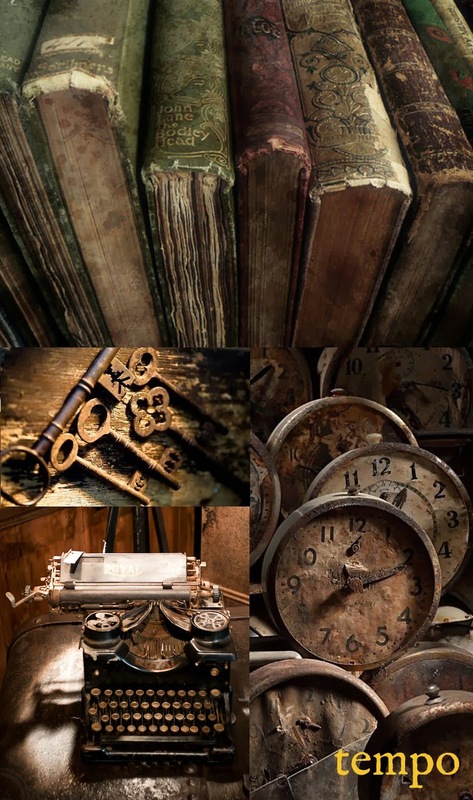 Marcadores: antigo, books, chaves, clock, datcha, dickens, great expectations, keys, livro, relógios, tempo, time, typewriter.